One of the most common styles of home in Atlanta is the bungalow. Bungalow is not a precise term, with many using the name to describe any small house built from the early 1900s through the 1940s. 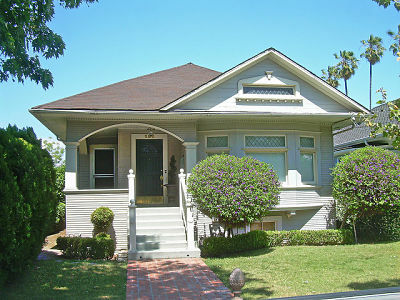 Typically bungalows are single-story or have a second story built into a sloping roof with dormer windows (1-1/2 stories), often with a large covered front porch / veranda. Construction is usually frame with wood siding, and the entry commonly opens directly to the living room. Note: These homes are categorized by the style indicated by the listing agent. You will find, unfortunately, that not all agents correctly label the architectural style of their listings!